We were at the 16th position and it was the last game of the season. That game became the most important game of the season. Not because we could win the championship but because we could get relegated. It was an existentialist moment for every PSG fan. How was it possible that our team was in such a position? That year it had only won 9 games out of 37. What a contrast with today’s stats! PSG was not the superpower that it is now but was and will always be the French capital’s team. We did not have top players at every position as we do now, but we still had internationals such as Pauleta, Yepes, and Rothen. I couldn't believe what was happening and I was not the only one. The tension was rising as we were getting closer to the end of the season. A few weeks earlier, Armand, a well-liked player, found his Porsche shattered. The stakes were too high. Not having PSG in the Ligue 1 is like not having Rambo in the Rambo movie. The main character would be missing. I just moved to the US at the beginning of that year, looking to start my American Dream. Watching PSG games was always a challenge as no games were available on tv or cable channels. Therefore I had to find ways to stream the games online. I was not going to miss this one and I was ready to watch it from my room. I told my roommate to ignore me for two hours and I turned my Nokia off. Gratefully, I was able to find a French broadcast. I couldn’t have been happier. I knew that these commentators understood my distress. You could feel the importance of that game in their tone and comments. The streaming quality wasn’t that bad either. I just had to refresh the page every 15 minutes and click 5 to 6 times on specific areas to remove the ads that appeared on top of the video. The stadium was full. 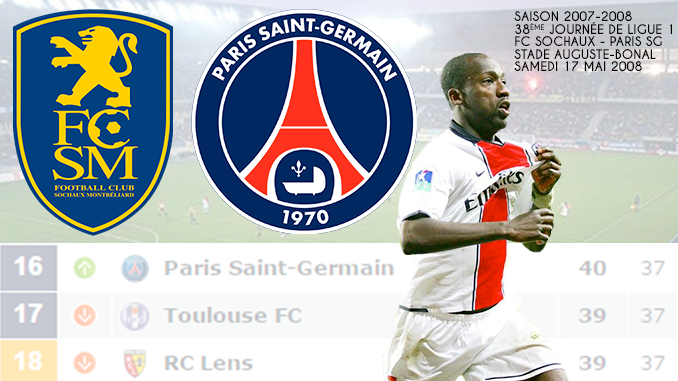 Sochaux’s fans were excited with the idea of taking PSG down. 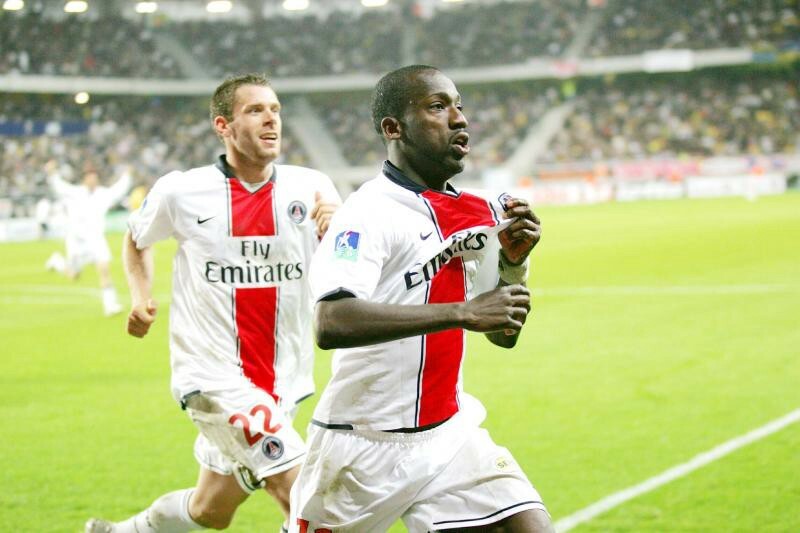 It wasn’t a bad start for PSG as Diané scored on a counter at the 22nd minute of the game with a strong shot. A few minutes later Pauletta missed a great opportunity to score a second one. When Pauletta (captain and the club’s top scorer of all time with 109 goals in 211 matches, until the record was broken by Zlatan Ibrahimović) does not score on clear chances, you know it is going to be a long night. Second half PSG is mostly defending. And they are not defending with calm and control but with nervosity and desperation. What everyone was scared of happened at the 74th minute. On a corner, N’Daw was all alone and easily scored a header for Sochaux. At this point, PSG can go down to the second division. You started hearing the stadium chanting “Paris in Ligue 2”. The players had little more than 15 minutes to save the millions of fans from humiliation and anger. I was asking myself, what will I do if we go down? I did not have the answer and I just kept swearing at the team, the coach and the players. 7 minutes remaining, a through ball is sent toward Diané who misses his control and is about to fall but desperately slides to push the ball from the end of his toes toward the goal. What a relief! A breath of fresh air! I screamed. I felt liberated. It was as if we had won the championship. Not the most beautiful goal but one that has a huge impact on PSG’s future. Without this goal, PSG would have been relegated and may have never seen its future glories. Thank you, Diané and the rest of the team to fight till the end.